This post is sponsored by Coupons.com. All opinions are my own. Since Connor started kindergarten, I feel like my kitchen and dining room table have been taken over by papers and school work. Add mail to the mix and there seems to be piles of paper all over the place which then made it extremely hard to find important paperwork that I actually needed. Something had to change so I finally decided it was time for a family command center! I created a magnetic board using an old picture frame that I had in my garage. If you ever come over my house you will know that I do not like anything on my refrigerator so this magnetic board is perfect for important reminders. Then I looked everywhere for wire baskets that I could use to hold mail and paperwork. I couldn’t find any that I liked so I decided I could make them myself. I love a great DIY project especially when they turn out the way I want them to. I used Hardware Cloth so make the baskets and I love them! 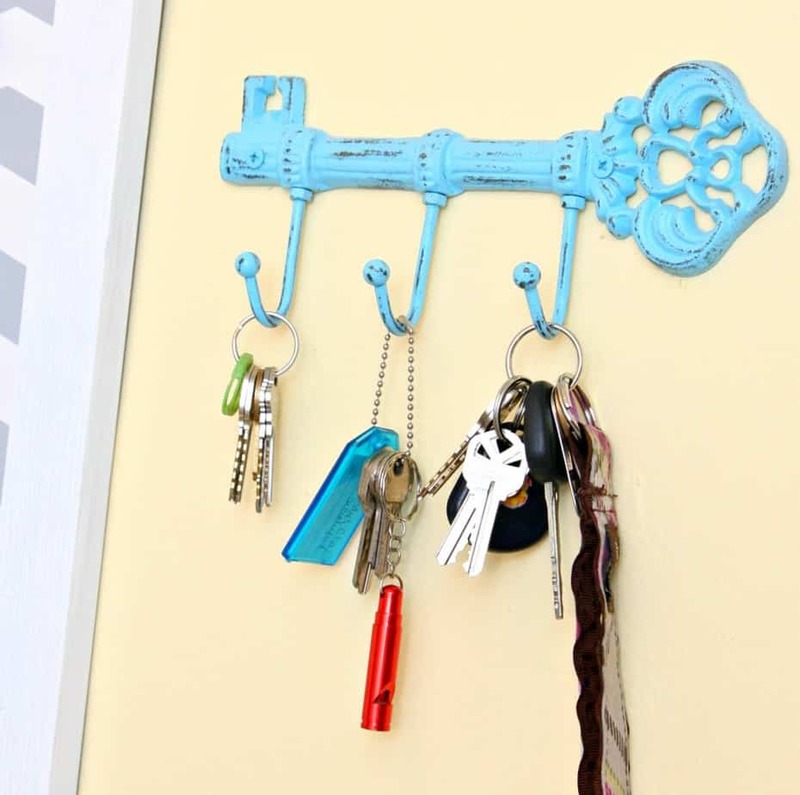 And as soon as I saw the key holder on Etsy by Veritas Inspired, I knew I needed it! Now all the papers on our countertop can be put in its proper place and the kitchen looks more organized. Finally I feel like I’ve taken control of all the mail and schoolwork that was taking over my kitchen countertops and dining room table. 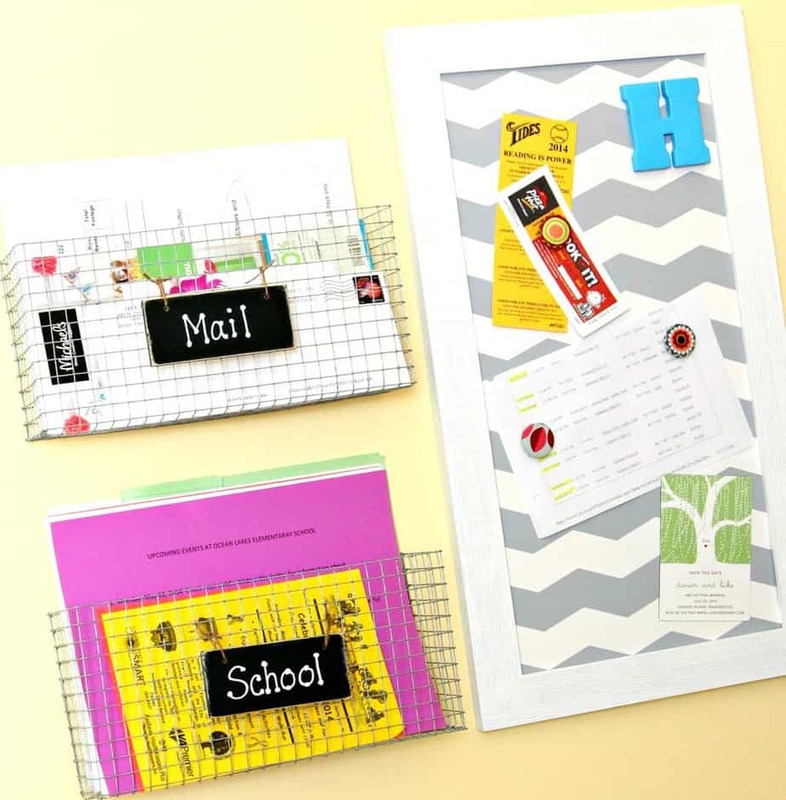 Come back later this week to see how I made the wire baskets and chevron magnetic board. 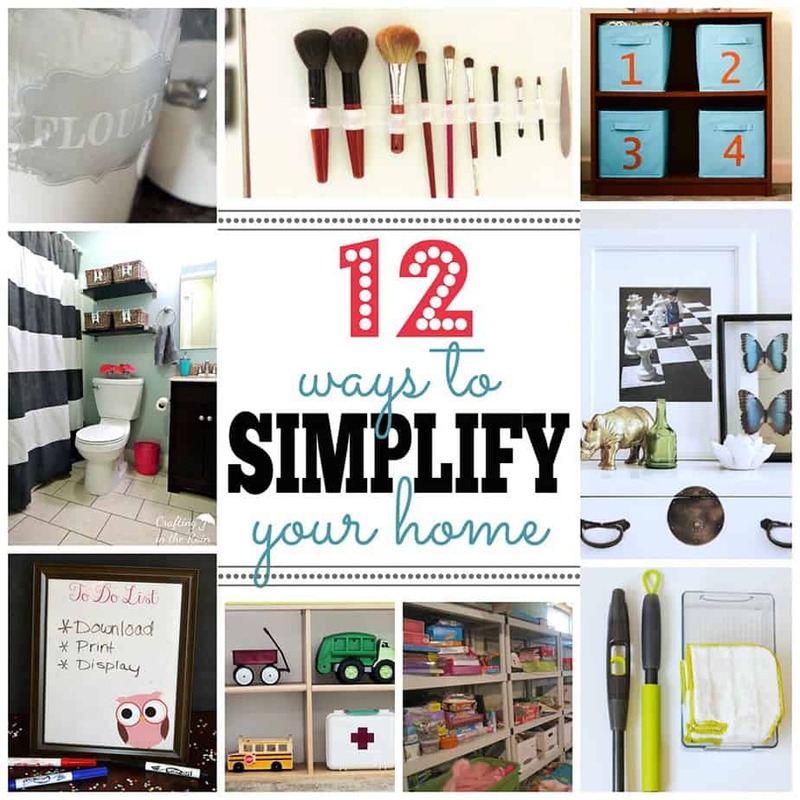 And be sure to check out these other great ways to simplify your home. Now, to help you simplify your home, Coupons.com is giving away a $200 e-gift card to Target, West Elm, or Home Depot – winners choice! How awesome is that?! Use the rafflecopter below to enter. 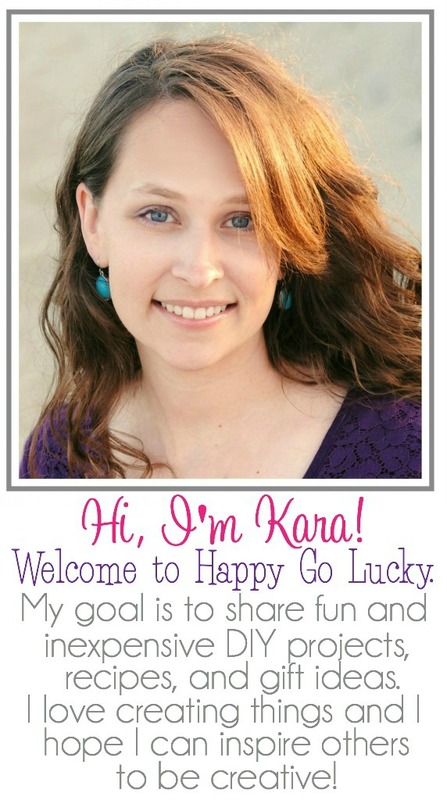 Giveaway ends May 26 and is open to US residents only. Thank you Coupons.com for sponsoring this post. 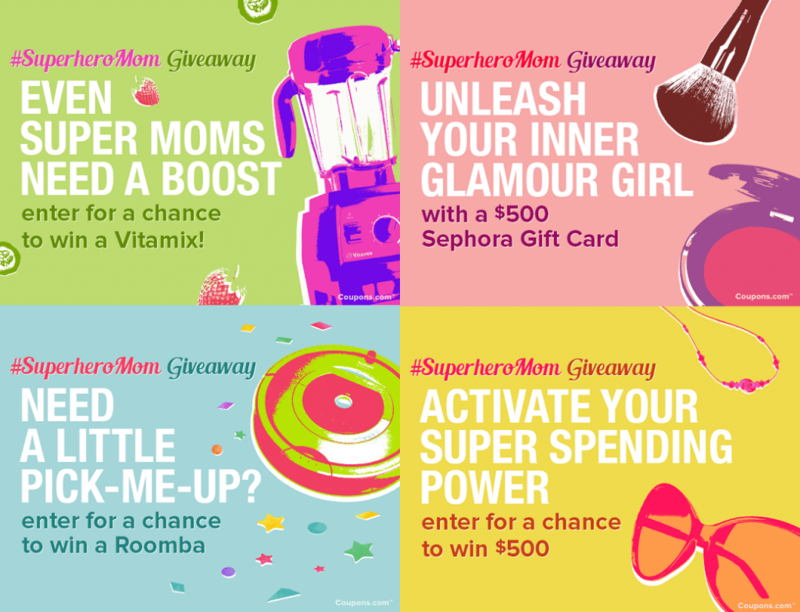 Check out all the awesome Mother’s Day coupon codes over at Coupons.com. I love you command center! I totally need to create a command center — our “command center” tends to be my home’s kitchen table! LOL! We do not have a family command center, but I think we need one! 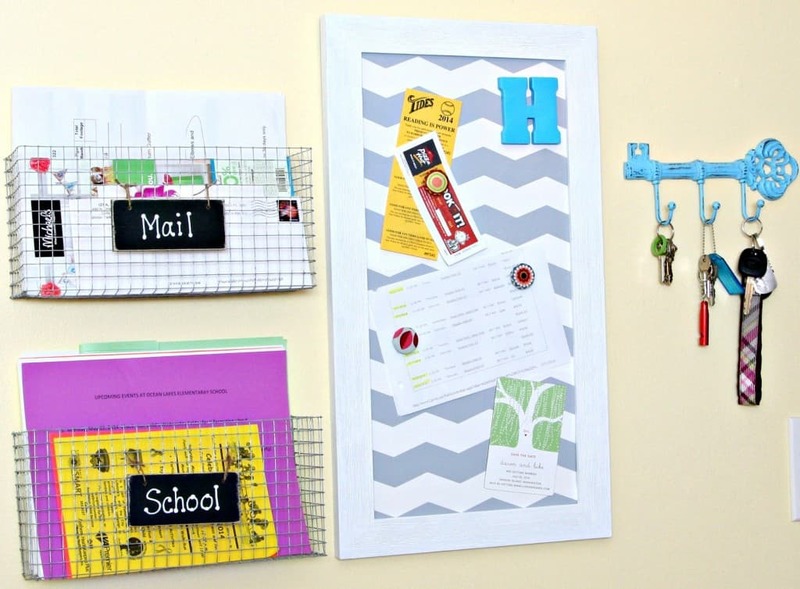 What a great use of space to hang things on your wall…and to stay organized! Plus it looks great! Family command centers are so necessary especially as the little ones get older. Thanks for sharing your tips!